Dr. Kaminetsky presented study information about Urolift, a procedure for the treatment of enlarged prostate, at SMSNA Sexual Medicine Society of North America in Miami on 11/8. 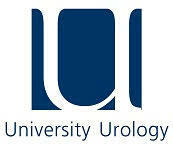 Study findings show that Urolift has been proven to deliver rapid, significant, durable symptom relief. Patients experienced relief from symptoms, quick recovery and preservation of sexual function.